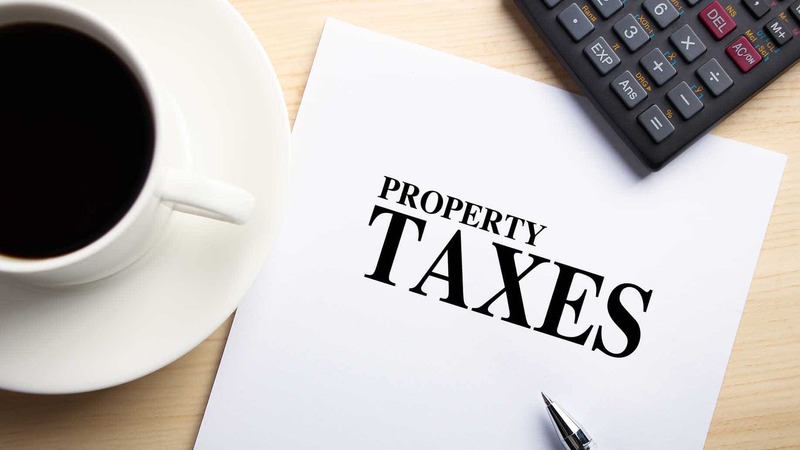 Though they may pass laws that directly or indirectly impact property tax collections, state governments generally don’t assess property taxes for their own purposes. Property taxes aren’t assessed uniformly. The northeastern United States is infamous for its hefty property tax burdens, while southern and western states (with notable exceptions, like Texas) are much more homeowner-friendly. According to Realtor.com (citing data in the American Community Survey), New Jersey had the highest effective property tax rate (2.14%) and overall property tax burden ($8,374) in 2016. Hawaii had the lowest effective rate (0.29%), while Alabama had the lowest overall property tax burden ($667) due to the comparatively low value of real property there. The good news: No matter where they live or how much they pay, homeowners are always entitled to appeal their property tax assessments. 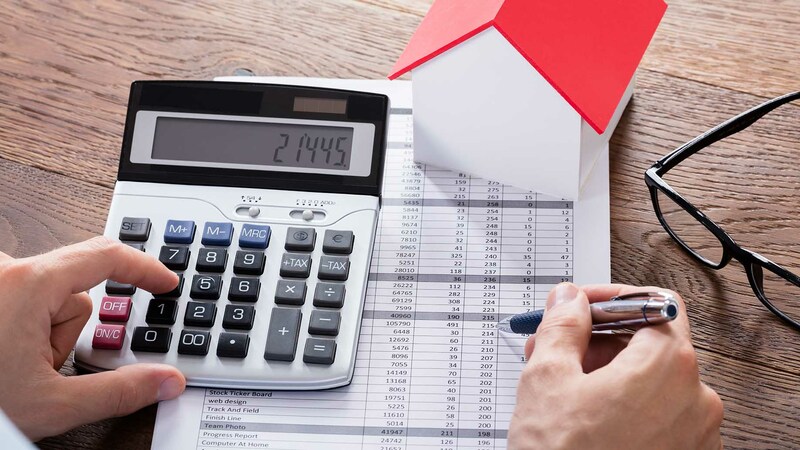 The process isn’t always easy or without financial risk, but it’s worth pursuing – or at least looking into – if you genuinely believe your property tax burden is too high. Let’s take a closer look at how property tax is calculated and by whom, how to investigate and appeal your property tax assessment, and the upsides and downsides of appeals. Pro Tip: Real estate is not the only asset class subject to property tax. Other durable assets, notably vehicles and business property, are subject to tax in most jurisdictions. If you own a car, you probably pay vehicle tax (wheelage tax) via annual or biannual license plate tab renewal fees. Market Value: This is your taxing authority’s best guess at your property’s fair market value: what it would sell for if someone made an offer on it tomorrow. It’s calculated using public and privileged information about your property. Factors that affect your home’s market value include its location, valuations on comparable properties sold recently nearby (“comps”), recent additions or upgrades, and general condition. As the most subjective factor in property tax calculations, market value is central to most property tax assessment appeals. Assessment Ratio: The assessment ratio can range from 0 to 1. Think of it as a discount to fair market value. In many jurisdictions, the assessment ratio is high: 0.9 or greater. In others, it’s quite low: 0.2 to 0.4. Some states have laws that preempt dramatic changes to local assessment ratios or establish uniform ratios across jurisdictions. Others impose more complex rules that effectively limit assessment ratio increases. For instance, New York state law limits “the growth in annual levy…to the lesser of 2 percent or the Consumer Price Index (CPI), subject to certain limited exceptions and adjustments” outside the five boroughs of New York City, according to New York State Department of Taxation and Finance Publication 1000. Assessment ratios often vary by property type as well – for instance, commercial or agricultural property may have a lower assessment ratio than residential property. Property Tax Exemptions: Exemptions reduce assessed taxable value for select homeowner groups. Common exemptions cover homesteads (primary residences), senior citizens (often with means testing to exclude high-income seniors), disabled homeowners, active-duty servicemembers and veterans, households falling below set low-income thresholds, energy efficient home improvements, and certain other renovations and upgrades. Millage: “Millage rate” is a fancy way of saying “tax rate.” In overlapping tax jurisdictions (such as county and school tax districts), or in single jurisdictions where property taxes support multiple revenue streams, a given property’s total millage rate is the sum of all subordinate tax rates applicable to that property. Property Tax Credits: Property tax credits directly reduce property tax liability. In some jurisdictions, homestead benefits are awarded via credits, not exemptions. Other common property tax credits include credits for taxes assessed by overlapping districts (such as school levy credits on county taxes), “first dollar” credits for improvements to vacant land, and lottery or gaming credits financed by receipts from state lotteries or local gaming facilities. Don’t confuse credits applied directly to property taxes with property tax credits applied to state income taxes. Who Is Totally Exempt From Property Tax? Even after factoring in exemptions and credits, most middle- and high-income homeowners are required to pay at least some property tax. Very low-income homeowners who qualify for exemptions due to protected status may effectively pay no property tax. These organizations are generally exempt from other state and federal taxes as well. Property tax assessments become binding (“attached” in legal parlance) on a set date each year. This date varies by jurisdiction but is often the first day of the calendar year (January 1) or fiscal year (variable). Most jurisdictions send proposed property tax notifications late in the year prior to the binding date. If your binding date is January 1, you’ll likely receive your proposed tax notification in October or November. The notification should be pretty detailed, with lines for all the factors involved in your property tax calculation: assessed value (including change from the prior year), total millage rate, exemptions, credits, homestead information, special assessments, and plenty more. Where multiple jurisdictions assess property taxes, homeowners may receive one consolidated assessment notification or multiple, jurisdiction-specific notifications. Here in Minneapolis, I receive a single consolidated assessment from Hennepin County outlining property taxes assessed by the county, city, and school district. Your proposed property tax notification will include an appeal deadline. The deadline can be as little as 30 to 45 days following receipt, but can be longer. Regardless, this is the most important date on your property tax calendar, so don’t forget it. Once it passes, it’s much more difficult (if not impossible) to appeal your property tax assessment or recoup prior-year tax overages. Once your property taxes are set, you’ll receive a tax statement outlining when and how much you need to pay. Most jurisdictions accept tax payments twice per year, each accounting for half of the total. Where taxes are delinquent or special assessments required, payment sizes might be uneven. This is a general overview of the property tax assessment appeals process. Pro Tip: Many jurisdictions include review and appeal instructions on proposed property tax notifications. This sample property tax notification from the Williamson (Texas) Central Appraisal District outlines in-person and online protest procedures and deadlines. To see if your jurisdiction has similar material online, do a Google Image search for “[your assessing authority] proposed property tax notification” or something similar. If your assessing authority has an online property tax assessment tool, complete it before continuing with your appeal. Though it carries no legal weight, it’s a low-risk way to determine the strength of your claim – and whether you really have a claim at all. You can find most of this information in your municipal or county property records, though you’ll want to cross-reference all that with what you actually know about your home. “Ghost” features in the public record, like a half-bath that doesn’t actually exist, can artificially inflate your home’s assessed value. Even comparatively minor things, such as a fireplace, have distortive effects. If the results of your self-assessment aren’t substantially different from your proposed property tax assessment, don’t despair. You’re not out of options yet. Pro Tip: Many assessing authorities have “zero downside” property tax appeal policies: Homeowners’ assessed property values can only go down on appeal, never up. But other jurisdictions happily raise assessed values when presented with new evidence. Since they’re anonymous and nonbinding, self-assessments are all the more important in these places. Check Zillow or another reliable source for recently sold homes in your neighborhood. Go back 12 to 24 months. Look for recent sales as close to yours as possible, and as similar in size and construction too. Wide gaps between their sale prices and your assessed value – after accounting for the assessment ratio – are red flags that warrant further investigation. Print or bookmark relevant listings. Next, use your municipality or county’s interactive property records tool to compare nearby properties’ assessed values against your own. Look beyond recent sales to comparable homes (same bed/bath counts and lot sizes, if possible) that have been in the same hands for a while. If their assessed values are significantly lower than yours, that’s another red flag. Again, print or bookmark relevant listings for later use. Dig back through your city or county’s permitting records for information about significant home improvement projects, renovations, or additions completed by the current or previous owner. Review the assessing authority’s value-add estimates for each project. Compare these estimates to generally accepted value-adds for such projects, noting any major discrepancies. Remodeling.net has a good calculator that accounts for regional variation in remodeling costs and resale outcomes. If you can’t complete an online self-assessment, manually double-check all the house- and lot-related data points your assessing authority used to determine your property value. Even small errors, such as a few extra finished square feet, can increase your home’s assessed value. Make a list of all discrepancies. Document these issues with photos and maintenance records. Look for environmental or quality-of-life issues in your neighborhood or immediate surroundings. 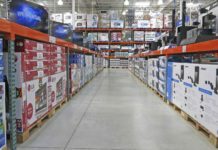 Nearby industrial facilities, transmission lines, loud commercial businesses, elevated highways, and impaired waterways can all negatively impact property value, sometimes significantly. (So can plenty of other environmental and human-caused issues not listed here). Try to put dollar values on all these issues, either by cross-referencing comparable properties in neighborhoods where they’re absent or speaking with a local real estate professional. Make a list or table. Lastly, check your eligibility for property tax exemptions and credits. Homestead exemptions and credits are low-hanging fruit: If you never applied for one, your city or county may not realize your home is your primary residence. Likewise, cross-check any special statuses you might have – veteran, senior citizen, disability, income – against applicable local benefits. Make a list of missing breaks for which you believe you qualify. Pro Tip: A formal appraisal by a certified third-party real estate appraiser can dramatically shift the balance of evidence in your favor. Such appraisals are almost always conducted as part of the closing process, so if you’ve recently purchased your home, your lender appraisal may be sufficient. If not, expect to pay anywhere from $300 to $500 for a fresh appraisal. Print any property listings – or, if presenting electronically, convert to PDF form. Print or download and save high-resolution photos of issues around your home, with supporting evidence (such as repair estimates for structural issues) as needed. Print or download all applicable permits and cost/resale value estimates. Create a document with special exemptions and credits for which you qualify, with supporting evidence (such as a copy of your birth certificate or medical records) as needed. In writing, briefly summarize each item’s importance. For instance, you’ll want to highlight why you believe your home has been overvalued relative to its comps, and by how much. Don’t assume your assessor will “get it” unless you spell it out. Your next move is to call or email your assessor. This isn’t a mere courtesy – some assessing authorities, such as the Ramsey County (Minnesota) Assessor, won’t accept appeals without screening appellants first. During your initial call, you’ll need to review the outlines of your complaint, so make sure you have all the evidence collected and organized in steps three and four in front of you. If the assessing authority’s error is simple or egregious, the issue may be resolved in your favor right then and there. It’s more likely that the screener will determine that your complaint has merit, but can’t be resolved immediately. You’ll then schedule a follow-up phone call or proceed directly to a formal written appeal. Check your assessing authority’s website or visit its office in person to get a property tax appeal form. If you’re confused about any questions or fields on the form, ask someone at the assessing authority’s office. Improperly completed (or incomplete) forms will delay processing, possibly past your appeal deadline. Submit the form by the due date, usually 30 to 90 days following your proposed tax notification. Respond promptly to any follow-ups, including requests to schedule an in-person consultation (sometimes known as an “open book meeting”) or a home inspection by a city or county assessor. Next, attend your scheduled hearing or make yourself available for an in-person appraisal. This is only necessary if your appeal isn’t resolved satisfactorily, or the appeals body decides that it needs more information to reach a conclusion. Keep in mind that some jurisdictions hold open book meetings before accepting formal appeals, so it’s possible that you’ll have an informal hearing – and possibly resolve your complaint – before you even complete step six. During a formal hearing, you’ll present all the evidence you’ve gathered and make a cogent case for why your property taxes should be reduced by the amount you’ve proposed. If you don’t feel confident doing this in front of someone who decides such matters for a living, consider retaining an attorney. Hearings notwithstanding, many jurisdictions require in-person inspections before adjusting property tax assessments. Your inspection will likely occur after your hearing. Make sure you’re available for the entire length of the inspection, which should take anywhere from one to three hours. Following the hearing and inspection, you’ll receive notice of the assessing authority’s decision by mail or secure electronic message. If your appeal is denied outright, or your assessment is reduced by an unsatisfactory amount, you have a choice: give up or keep fighting. If the former, you don’t need to do anything until you receive your next proposed property tax notice. If the latter, you’ll need to check with your assessing authority for appropriate next steps. In jurisdictions where initial appeals don’t warrant in-person hearings, follow-up appeals generally do. Protocols vary, but you’ll generally need to gather additional supporting evidence for a hearing one to two months after your initial appeal deadline. If you haven’t already retained counsel, you may want to do so at this point, provided your anticipated savings are ample enough to justify the lawyer’s contingency fee (usually 33.3%). There’s one more recourse available to homeowners who aren’t happy with their property tax assessments. And it’s retroactive, potentially for multiple years. That’s the good news. The bad news: You’ll need to go to court. Property tax petitions can be costly and drawn-out, so they’re pretty rare for average homesteaders. If your home is worth well above the national median, or you’re a landlord who owns income-producing multifamily properties, your calculus may be different. The petition process can take a year or longer, so it’s not for minor disputes. Consult a lawyer with real estate tax experience for personalized guidance. And that’s not hyperbole. Depending on the assessed value of your home and the total millage rate in your area, your property tax burden could easily reach into five-figure territory. 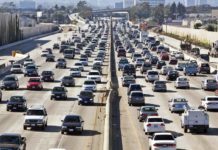 This is especially likely in high-tax, high-cost states like New Jersey, where a $600,000 home with an effective 4% property tax rate carries a $24,000 annual tax burden. In this case, a 10% reduction in your assessed value – a reach, but doable – nets you $2,400 per year. Appealing your property tax assessment costs little to nothing out of pocket. At most, you’ll be required to pay a nominal appeal filing fee, usually not more than $25 or $30. In many cases, this fee is waived. 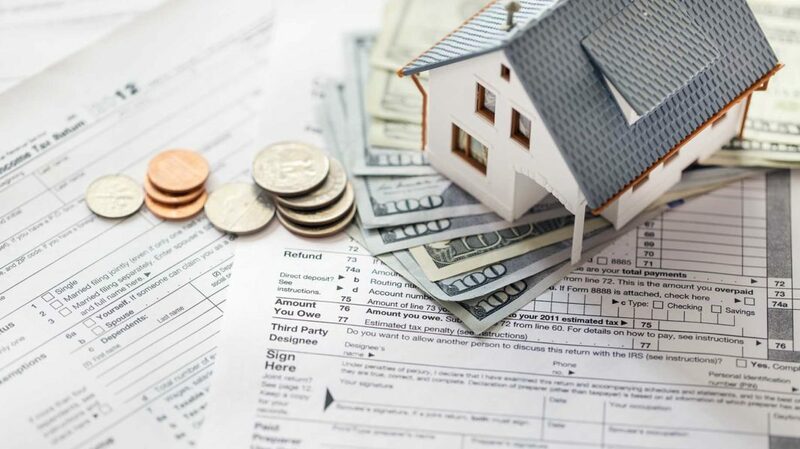 Attorneys generally assist homeowners with property tax assessments on a contingency basis. You’ll only pay for an appeal complex enough to require an attorney’s assistance if it proves successful, and only then out of your windfall. If nothing else, appealing your property tax assessment is an education. Any exercise that demystifies the bureaucracy and increases one’s confidence in their ability to navigate it is worthwhile, no matter how painful in the moment. You never know when you’ll need to do it again. In most cases, the absolute worst-case outcome of a property tax appeal is a nominal financial loss (equivalent to your filing fee) and a few wasted hours. There’s a small but real risk that your appeal could result in a higher property tax burden, but even that may be a blessing in disguise if you’re planning to sell in the near future. Property tax appeals aren’t guaranteed to succeed. The success rate varies widely from place to place. In the Chicago area, tax appeals in Cook County (which includes the city of Chicago) succeeded 80% of the time, per the Chicago Tribune’s Eric Zorn. In suburban Will County, the success rate was far lower: just 2.4%. A low local success rate isn’t necessarily a deal-breaker, but you’d be wise to take it under advisement. Before you invest your scant time and energy in an appeal, talk to friends and neighbors who’ve gone through the process in your jurisdiction. Walk them through their appeals processes, noting actions and non-actions that may have contributed to their ultimate success or failure. It doesn’t hurt to contact your assessor’s office directly and ask, point blank, for current success rates. As long as you don’t ask for information directly pertinent to your case, they’ll likely share their figures. Even with legal assistance, the appeals process can be time-consuming and tedious. Before diving in, determine whether your likely savings are truly worth the time and effort you’ll need to invest. Missing or interrupting multiple days of work might not be worth a small windfall – say, a few dollars per month. And keep in mind that you’re not assured a speedy resolution. Disputes requiring multiple hearings can take months to resolve. Many jurisdictions prohibit tax assessors from raising property taxes on appeal. This is the case in Cook County, Illinois, says Zorn. This isn’t the case everywhere, though. Check your assessor’s website for language indicating assessed value can rise or fall on appeal. This should be transparently stated. If that’s the case, conduct an online assessment (if available) before formally appealing. The results aren’t binding or public, and the worst-case scenario is simply that you don’t proceed with your appeal. For a variety of reasons, including the simple fact that they have more to gain from the exercise, homeowners who live in more expensive neighborhoods are more likely to appeal their property tax assessments. Homeowners in less expensive neighborhoods, who tend to be poorer and less confident navigating local bureaucracies, are comparatively less likely to appeal their assessments. Over time, this discrepancy has a pernicious effect. In other words, the greatest tax burden ends up falling on those who can least afford it. This isn’t to say you shouldn’t appeal an unfair assessment on your above-median home. But perhaps you can atone by contributing your time and knowledge to local financial literacy or housing assistance initiatives. Assessed value is not the same as appraised or market value. But it doesn’t exist in a vacuum either. Assessed value is one of several factors used by homebuyers (and consumer-facing real estate data sources, like Zillow) to determine fair market value. Unless local statutes explicitly limit year-over-year increases in tax assessed value, you can bet that buyers interested in your home will exploit the yawning gap between your tax assessed value and asking price during negotiations. If you’re planning to sell your home in the near future, holding off on property tax appeals may actually be a wise financial move. What would you do with a property tax windfall? If you’re planning to sell relatively soon, consider putting your property tax savings toward home improvements likely to raise your home’s resale value. If you think you’re going to stick around for a while, put your savings to work elsewhere: perhaps in a tax-advantaged retirement account. Or do neither. If you already have adequate savings, use part of your one-time windfall to treat yourself with a nice restaurant meal, a quick weekend trip, or a discretionary purchase you’ve been eyeing for a while. The sky’s the limit – and, after all, it’s your money. Have you ever appealed your home’s property tax assessment? What was the result?